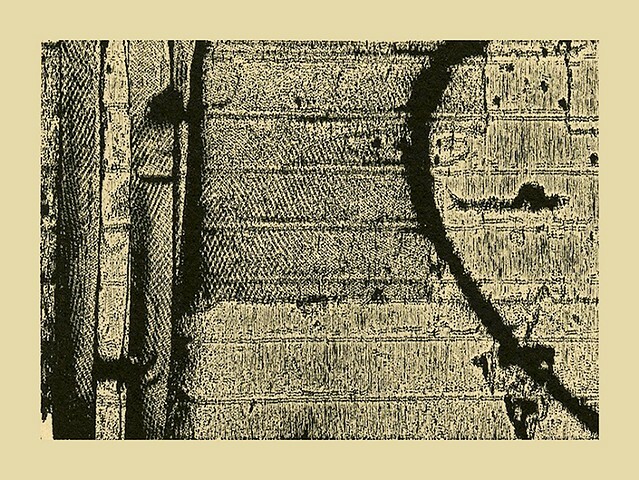 Joshua received a PURCHASE AWARD for his mini print Wall as Window Fragment No.10, pictured above! Two additional lasergravure woodcuts (Corner Heap, Somerville and Two Muses No. 5 (Sun on the Couch) were also included in the exhibition. Smoking While Biking (pictured above) will be on view from Nov. 9th - Jan. 12th, 2018. Two mixed media print/drawings, "Names of them All" and "Rings Hollow" (pictured above) will be on view from September 2th – October 7th, 2017. Prints featured above were made during the "Incidental Beauty" workshop. 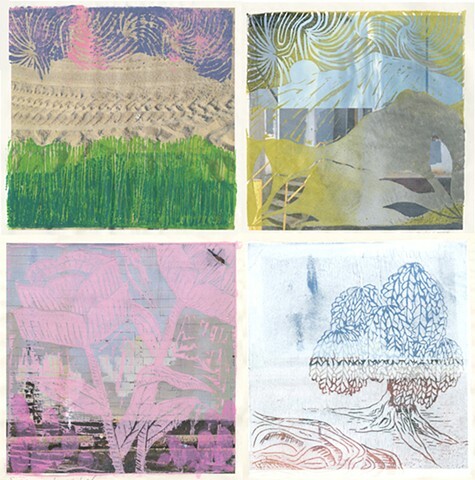 Students printed their already finished 6"x6" linocut blocks in various colors on top of inkjet photographs, with a focus on chance-based imagery and abstraction. A mixed media print/drawings, "Old Friend" will be on view from July 1st 2017 – May 1st, 2018. In Residence is an effort created in reaction to today’s political and social climate. 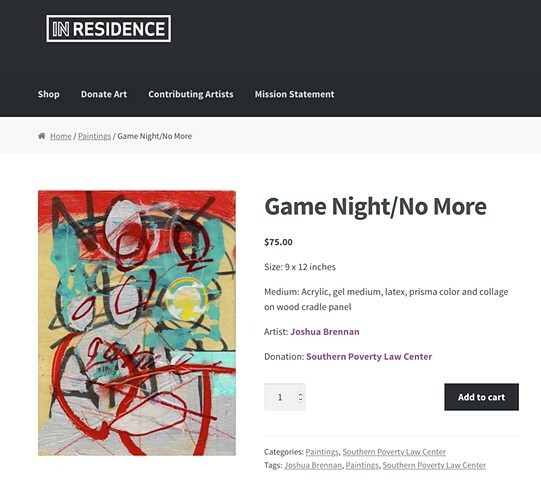 In Residence exists as an online store featuring works of art, the profit of which is donated to a charity or organization of the artist’s choice. This initiative serves as a method of activism to empower both the artist and the consumer. Through the model of In Residence, the artist has the opportunity to highlight and donate to an important cause, while the consumer can both support a cause in need and acquire an artwork that will forever serve as a reminder of lifelong activism. All artistic works involved in this project strive to share personal experiences of the artist and promote art as a catalyst for change. The administrators of this project are Rebecca Ness and Sophia Richardson. Joshua Brennan’s hand-carved reduction and laser-engraved woodblock print, “Post-Merger: Copenhagen Reduction” was selected for inclusion in the 2017 Atlanta Print Biennial. 73 prints were chosen from 787 entries! 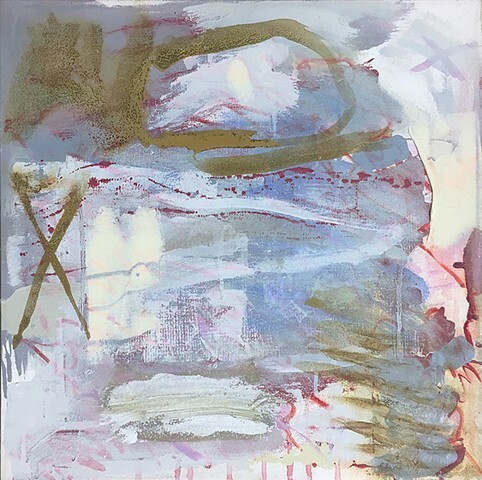 This exhibition is organized by the Atlanta Printmakers Studio and will be on display at Kai Lin Art, a contemporary art gallery located in the vibrant Westside District of Midtown Atlanta. 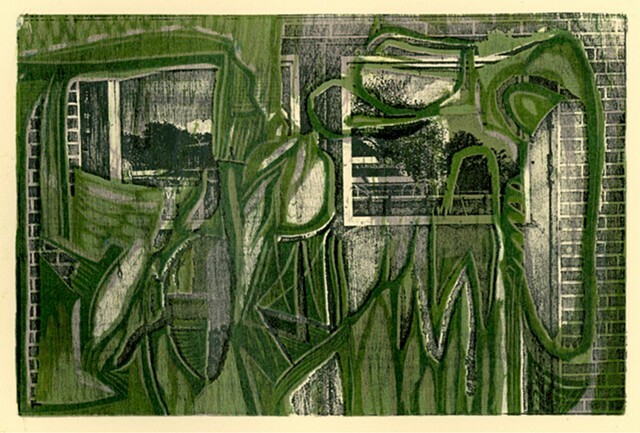 The Biennial was juried by 2017 SGC International Printmaker Emeritus Awardee Sydney Cross. 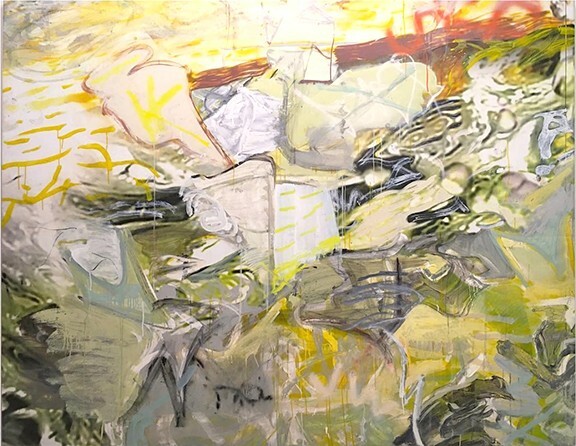 Reception: Monday, Feb. 6, 2:30-4 p.m.
Joshua Brennan's painting, "For an Administration Somewhere," is on display at Webster & Company, located in the Boston Design Center – and is included in the Webster Art Project. 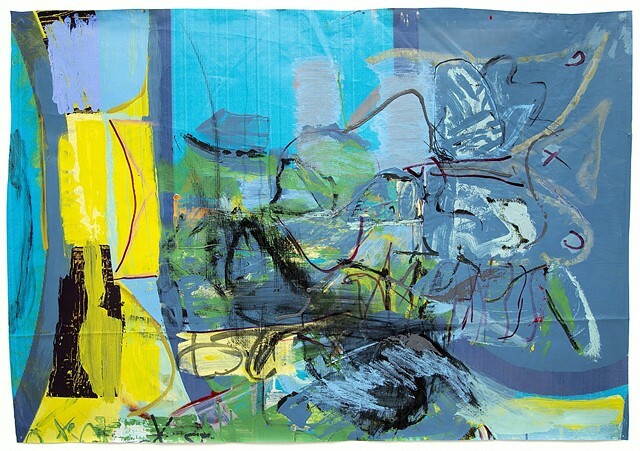 The 2015 School of Visual Arts Faculty Exhibition presents the work of over 30 artists who currently teach at the University in the areas of painting, sculpture, graphic design, art education, printmaking, and photography. The exhibition features a wide range of visual practices, spanning all genres and media. 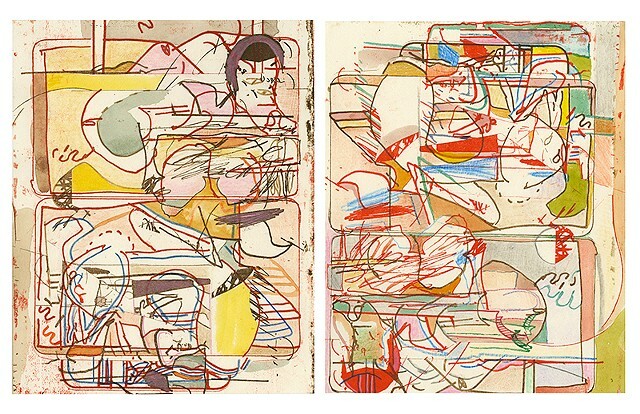 The exhibition is held as part of CFA’s 60th anniversary programming. 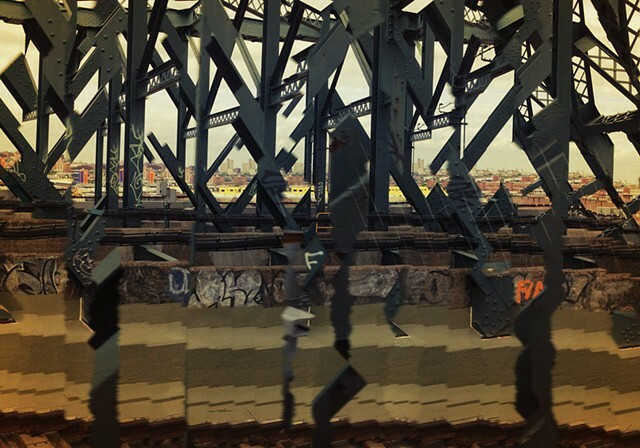 for "Forced Pano Error No. 15"